In 1950s, it demanded immediate action for Taiwan to popularize education and nurture talented people. In order to improve the quality of the citizens and increase education opportunities for women, the founder of the school, Sister Chi Chih-Ying, was granted by the Church of the Sacred Heart to set up a school. Sister Chi was resolutely relentless in the devotion to and faith in God. She overcame all challenges, and finally purchased the current premises in Taichung city, a piece of paddy field, in preparation for the construction of women's secondary school. However, there was still no budget for the building construction. So, the nuns kept praying day and night. During this period, the sisters continually contacted the Belgian President Li Pengju, asking him to help raise funds abroad. Praise the Lord! One day, Father Li came to see Sister Chih-Ying-yin with a cheerful expression. "There is an enthusiastic devotee in West Germany who is willing to assist you in the establishment of a girls’ secondary school .The solution is to write five thousand letters; inside the envelopes are collected stamps and small bookmarks with Chinese calligraphy or Chinese painting.“ So the nuns were mobilized to work together, doing their best in typing, mimeographing, folding letters, collecting old stamps, washing stamps and drawing their own bookmarks . . . “They anticipated to send more than 15,000 letters. After many years’ efforts, not only the children of West Germany donated their pocket money, but also enthusiastic parties’ responding to the letters and donations increased. With help and donations from all over the world, SMGHS was finally established in 1963. More than 100 junior high school students were recruited in the first year. 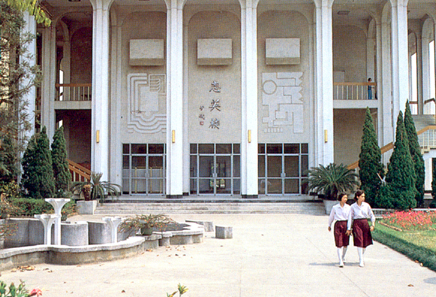 The Senior High School, commenced in 1966, was integrated with the Junior High School founded three years earlier, and therefore became a six-year secondary school for girls. 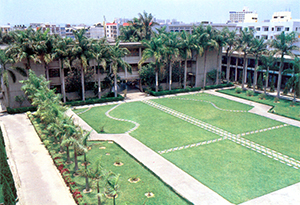 In 1973, Senior Vocational School of Nursing & Midwifery was added. The following year, the school set up its Junior and Senior High music departments, thus making Stella Matutina a comprehensive high school. Thanks to God, SMGHS had gained recognition and prospered under the guidance of the Chairman of the school since the founding stage. So did SMGHS get the strength and support from the Chairman of the Board, the school principals, sisters, enthusiastic parents, and recognition from all trades and professions. Over the years, not only has SMGHS grown robust but it has also nurtured numerous students. With a long history of over 50 years, our ethos of simplicity and modesty has endured throughout these years. We are proud of our highly professional teaching team. Among our 166 teaching staff members, 90% of them are university graduates, 53% of whom hold a master’s degree. Teachers’ dedication, love and care for students in close collaboration with parents, along with students’ diligence contribute to a caring and supportive learning environment. Gradually, SMGHS has gained prestige and earned recognition from all walks of life.